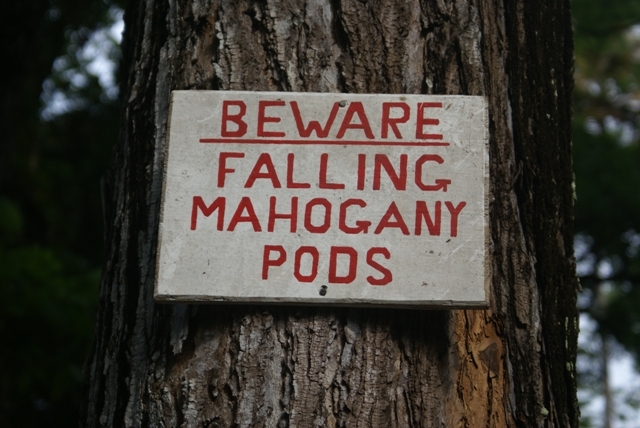 Sign at the Botanical Gardens. 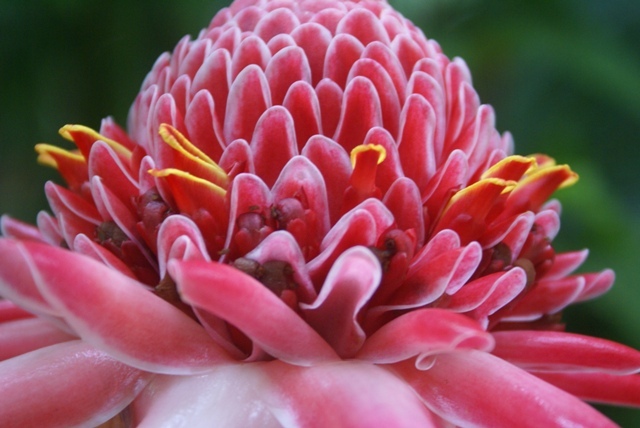 Above and below, different stages of the torch lily flower. 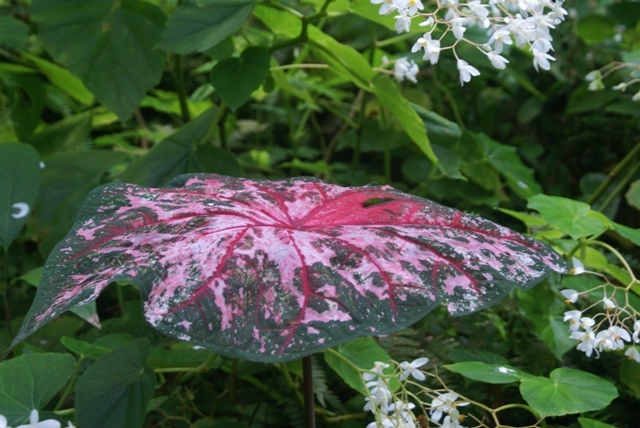 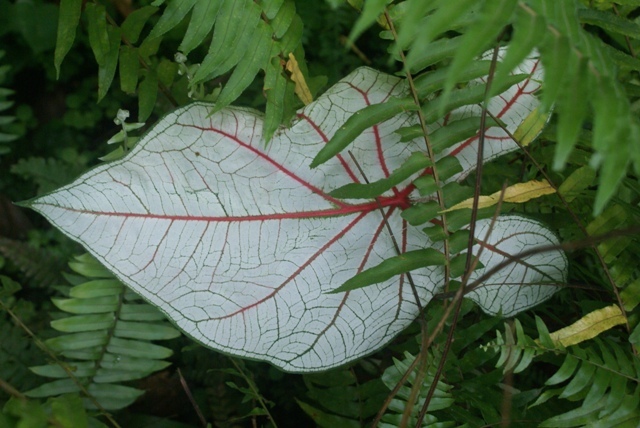 Above and below, colourful begonia leaves. 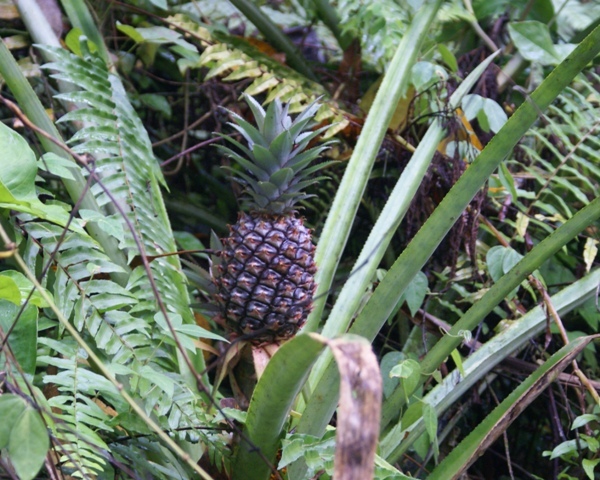 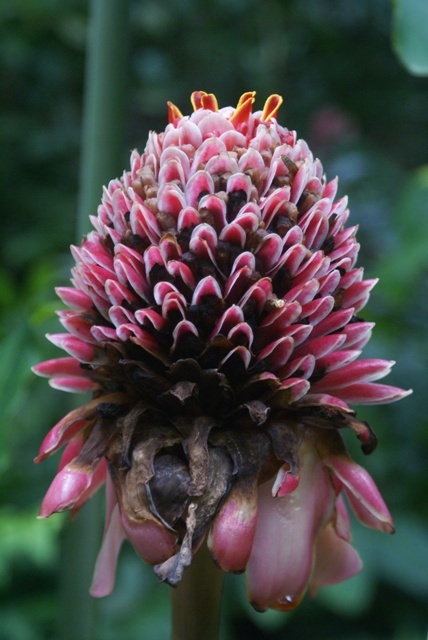 Above - the pineapple is part of the bromeliad family. 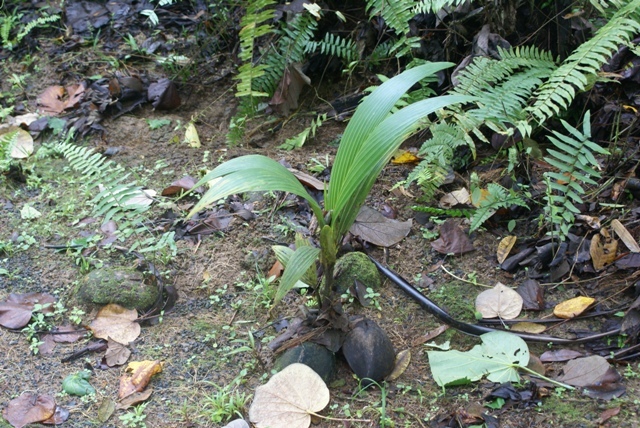 Coconuts will grow anywhere - not necessarily on a beach! 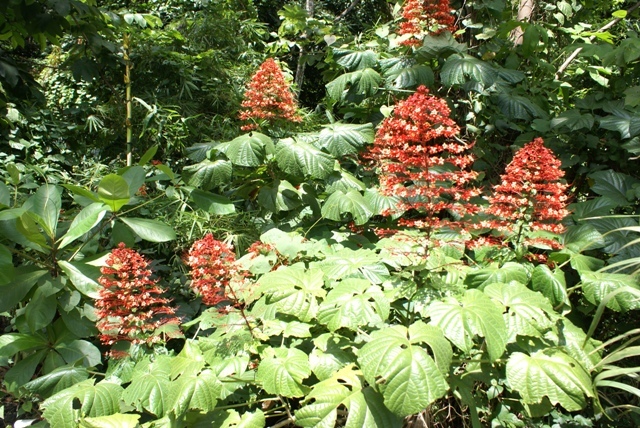 Don't know the name of this plant growing by the roadside, but we saw it in a few islands.